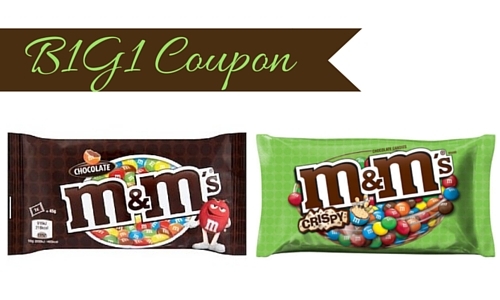 Home > Printable Coupons > Grocery Coupons > New B1G1 M&M’s Coupon! This one’s for chocolate lovers out there. There is a brand new buy one get one M&M’s coupon you will want to print out now because they will probably go quickly. There aren’t any deals right now, but bringing this to any store that sells them lets you save 50%! See more new printable coupons.